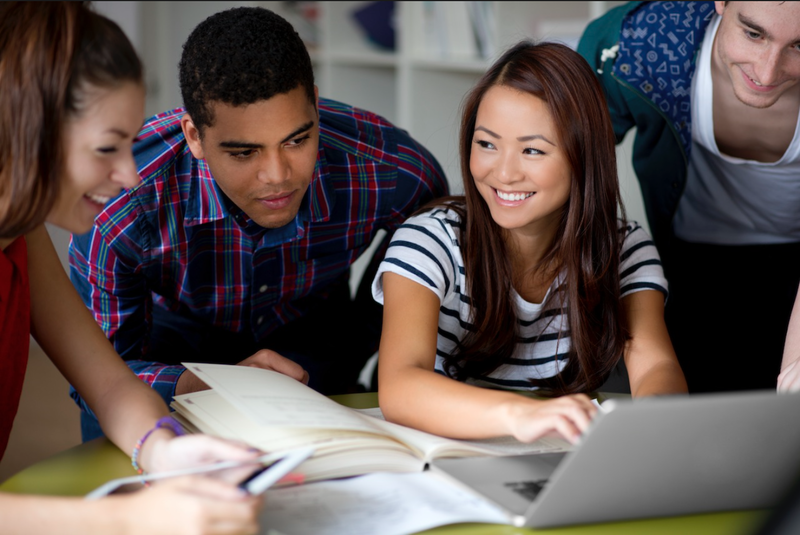 A College Student’s Passion for Learning z/OS ! Have you ever gone through any documentary of Bill Gates? Well, if you have gone through, you would have come across the fact that, at a very young age, Gates was able to run a mainframe. To be honest, he is one of my role models apart from Steve Jobs and Steve Wozniak. 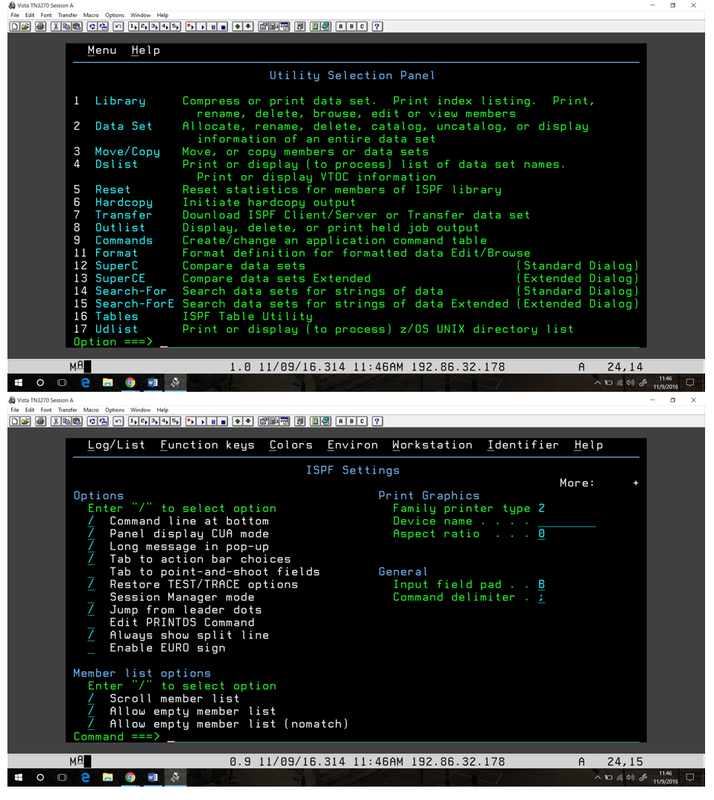 This mainframe use by Gates interested me. I began working on searching all about mainframe and its origin and all that jazz. After going though these large super computers, I felt like using one. I know it sounds pretty childish, but it’s a fact. I’m a techie. So I love to use any new technology I come across. But mainframe thing is completely different. These are not personal computers that anyone can use. It requires skill with a complete knowledge of the functioning. I felt very sad when I figured out that I can’t use a mainframe unless I’m that skilled. I was disheartened. I was so keen to use one and learn all about mainframe. This year, in September, I again started searching about developments in the latest mainframe computers. It was so addictive. Then I googled, “Learn Mainframe”. Ah! That’s was best thing that happened to me this year. I came across the IBM website in which things related to mainframe and learning was posted. I quickly browsed and came across the “Learning Mainframe” posts. There are also contests of these under the name “Master the Mainframe”. It’s held in various continents at different parts of a year. Unfortunately, in my country India, the contest was over. So I had to opt for this learning thingy. Anyway, learning and then contesting is better. The most important thing is that it was mentioned that anyone can participate. Be it a high school student or a university student or someone working in any field but having an inclination towards learning the mainframe. It suited me as I’m a 1st year Computer Science student at VIT University and I loved mainframes. Then the learning process began from October 24. I had already got my user id for the mainframe on which I had to work remotely. I downloaded the required software which is basically the emulator. I’m using PuTTy as well as Vista emulators for connecting to the mainframe. Now I’m all set for the contest. Hurray! I was so excited when I started the Vista emulator, entered the IP address and got this window. 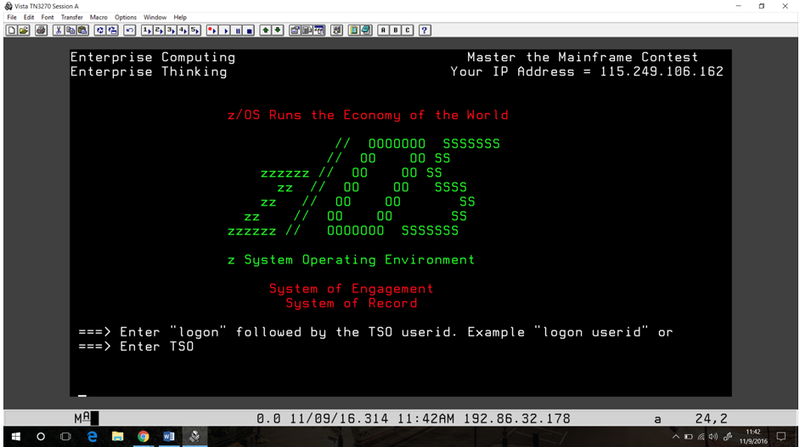 The operating system that I was about to work on is the latest z13 OS working on a mainframe. I was so excited. I went through the stuff that was written in the learning page. I did everything as per the rules and the instructions. I browsed through various windows by entering commands. It seemed so professional. Here are a few screens that I came across. It all looked so professional. I created data sets, manipulated them. I edited using the ISPF editor. It was all fun working on it. The learning thing has got 3 parts. I completed the 1st part and saved all my data sets in the mainframe for future use. The next part is completely based on Linux commands. I’m going through various bash commands now. I wish to learn more about mainframe. There will some challenges in the next parts but I’m ready for it. My plan is to learn the z13 so that I can work in this field in future or I can teach someone who is keen to learn about this. What I found in today’s younger generation is that everyone is much into personal computers. 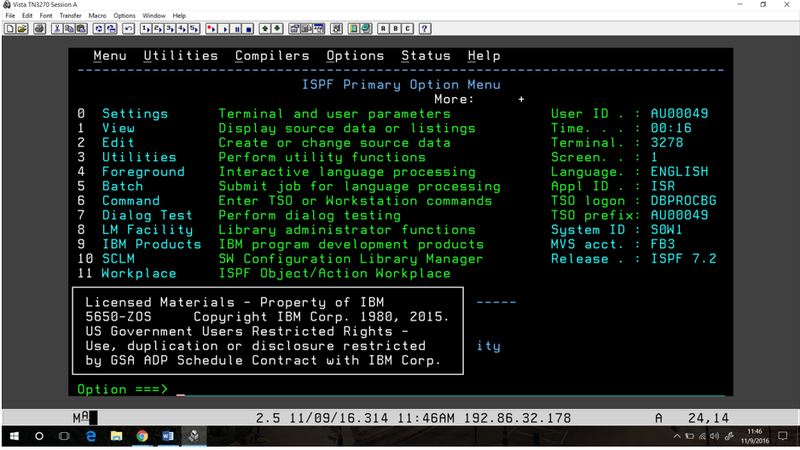 But it should be noted that these mainframes are the ones which are the basics of this computer era. Everything in the world is controlled by mainframes now. It’s the most powerful computer. I’m too young to learn all about mainframe, but I’ll definitely learn. I thank Bill Gates for making me have an interest in mainframe. I took it as a challenge. “If Bill Gates can do at a young age, why can’t I?” I want to be the youngest in the world to use a mainframe, especially the z13 on an Enterprise mainframe. I’ll take part in the contest next year when it will be conducted in India. Let’s see if I can become a Master. Editors Note: When Abinash Satapathy reached out to me on Twitter (follow him at @Abinashbunty) and we struck up a conversation, I was blow away by his passion for the mainframe and all elements of the interface. The natural next step was to get him to put that passion into words. Above is what he had to say.